The gear deburring machine TM200-3C was designed and realized to deburr and brush straight-toothed and helical spur gears as well as pinions with diameters between 30 and 200mm. 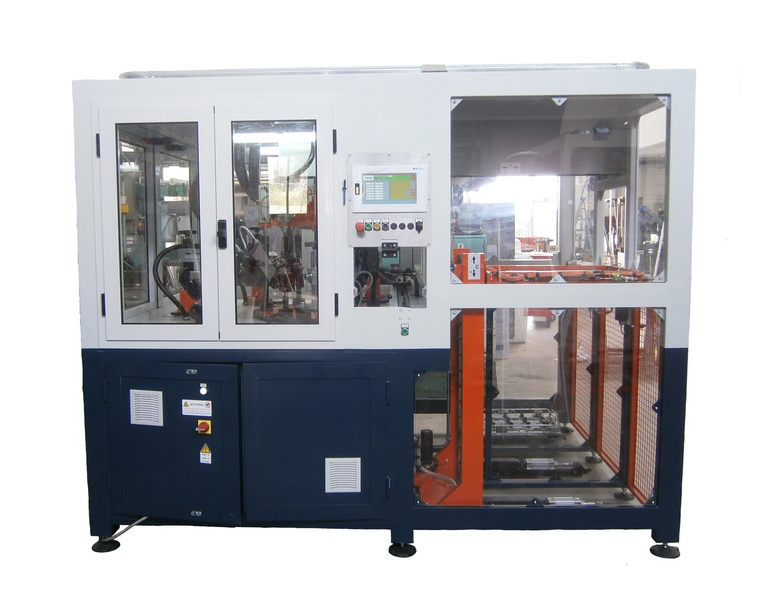 It features a rotary table with 5 workstations: one for Loading/Unloading, two for deburring top and bottom and another two for brushing top and bottom. The automation handles three stacks of transport baskets. The third stack hereby serves as a buffer and makes it possible to double the time during which no intervention by the operator is required. Depending on the diameter and number of parts in the transport baskets, it can autonomously work for up to 12h! Thanks to its simplicity in handling and the short cycle time, the TM200 3C is the ideal solution for medium- and large-scale production. It is equipped with an RJ connection for remote service and maintenance. Its closed structure and safety devices guarantee safe, hygienic and low-noise working conditions.